Parking garage is located on 15th Street, or guests may choose valet parking for a $5 fee, directly in front of the restaurant. 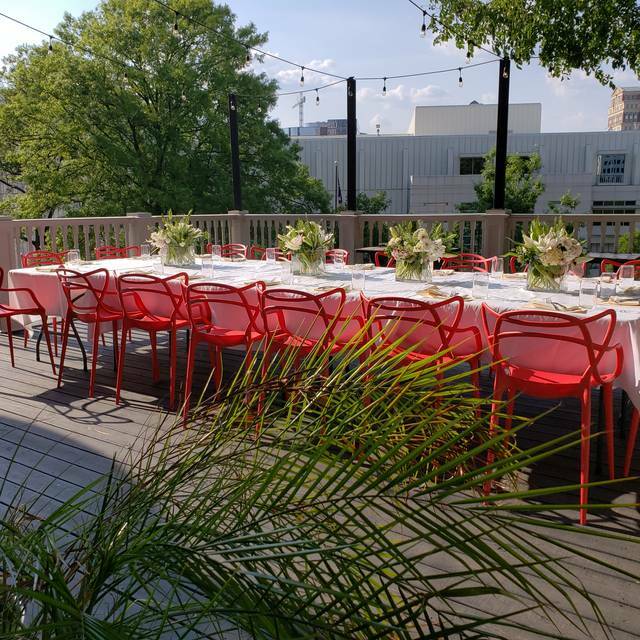 Rose & Rye is convenient to MARTA's Arts Center Transit Station, and several MARTA Bus Routes. 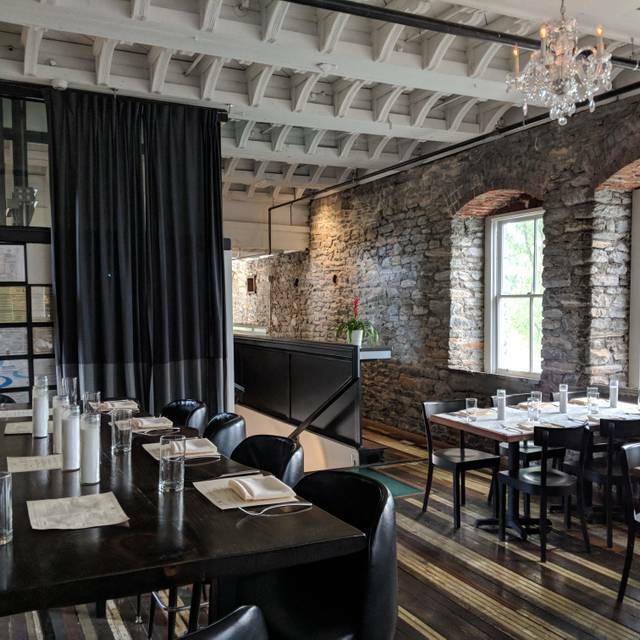 Southern Brasserie in the historic Castle building, featuring multiple bars and events space. Loved it!! Dinner was delicious and service very attentive. We will be back! After several enjoyable pre-concert dinners, last Saturday 's dinner was a bust. Our dinners came out well before we'd finished our salads and weren't all that great. Burger was barely OK as to taste and limiting cheese options to American only is bewildering. Shrimp were somewhat better, although polenta was tasteless. Dessert options, always limited, were unattractive. Maybe the very large party going on distracted the kitchen, but that's not really an OK excuse. The quality of the food, the portion size, the service and ambiance were all excellent. It's not cheap, but you get what you pay for. I highly recommend it and will be back. We waited 20 min and no service after being seated. Walked out. The room was WAY too loud. The service was slow and unskilled. But the food was good. We made a reservation on Open Table on March 8 for dinner on April 5 prior to a concert at Symphony Hall. We received a request to confirm our reservation the day before and we did so. When we arrived we were told we could not be seated because the restaurant was closed for a private event. At first they denied that they had taken any reservations for the evening but, when I showed them our reservation on my phone, they admitted it. We spoke to the manager who apologized but that really did not help. We had already parked, had limited time due to the concert, and the only real option, 1240, was booked. Rose & Rye did offer to take care of our dinner on our next visit but we made it clear that there would be no next visit. How can you make plans to go to a restaurant with a reservation if they do not have their act together any better than to accept a reservation for a time that they will be closed? Kind of defeats the purpose of a reservation and results in zero confidence. The duck was delightful...amazing drink menu and you could cut the pork with a butter knife. 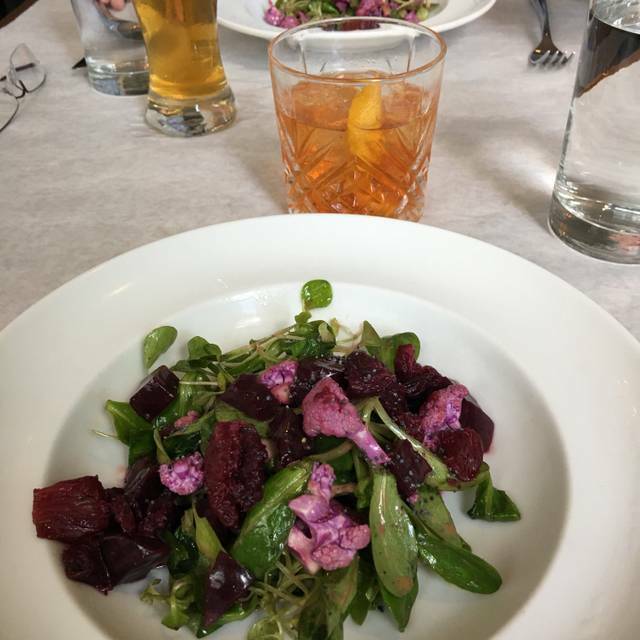 We thoroughly enjoyed our meal and our time at Rose & Rye. 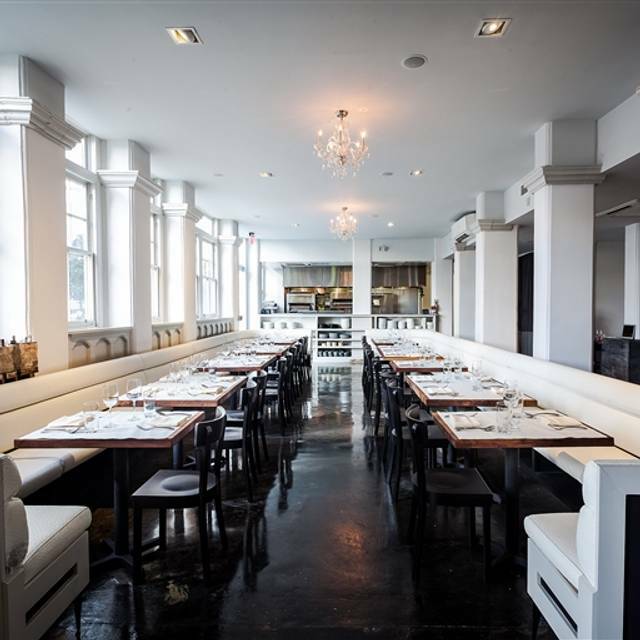 Great food and drink menu in an excellent building with attentive service. Great place to eat before an Alliance or Symphony performance and to leave car during appliance. Easy departure. They have even had our cars on the curb waiting on us. Great service and food and a historically interesting location. Drinks were good. Food was meh. My filet was super over cooked. I ordered medium and it was definitely well done. Was brown all the way through. A bit pricey too for the quality. I was looking forward to the outdoor seating but most of the patio was booked for an event. We sat at a janky table off by itself. The manager was really nice and moved us inside. I’d go back for drinks but that’s about it. Music was too loud, oddly eclectic and inappropriate. Dinner for 2 people took over 30 minutes to arrive. Menu is pretty void of a point of view. Food was just okay. This place is in our neighborhood and we want to like it. It needs some work. Our party of four each ordered something different--everything was delicious! Our waitress was friendly and attentive. The venue is beautiful. Our only complaint--way, way too noisy. I don't like shouting to be heard. We understand there was a party going on downstairs. We will come back and try again. Good was very good. Pork chop was lovely, cocktails as well. Service, eh. Slow, confused and spotty. It was our anniversary and I stated that on the reservation and asked to sit near a window or someplace with a view. It was as if the staff never read the message. They didn’t acknowledge the anniversary and we had to ask to sit out on the patio—which is a great choice, btw. With all that said, the food was outstanding and the service was good. 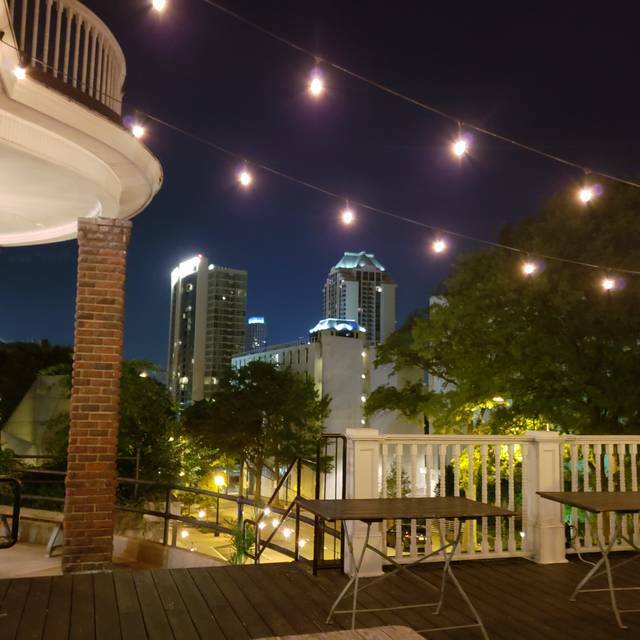 It took a while to get our drinks filled, but the food was so phenomenal and others sitting with us on the patio were so fun that we had a great time and will return. Food was fine - nothing special. I expected more for the price. Your best bet is to grab a burger or some apps and drinks! The restaurant itself is really cool and worth checking out if you've never been. Probably wouldn't order the pork chop again (at $30 it wasn't impressive) but the burger was delicious. This is such a special place! We had an incredible dinner and everyone was exceptional - from the gentleman who opened the door to the hostess to the server and the owner is just lovely! Simply AMAZING! This was one of the best dining experiences I’ve had in awhile. 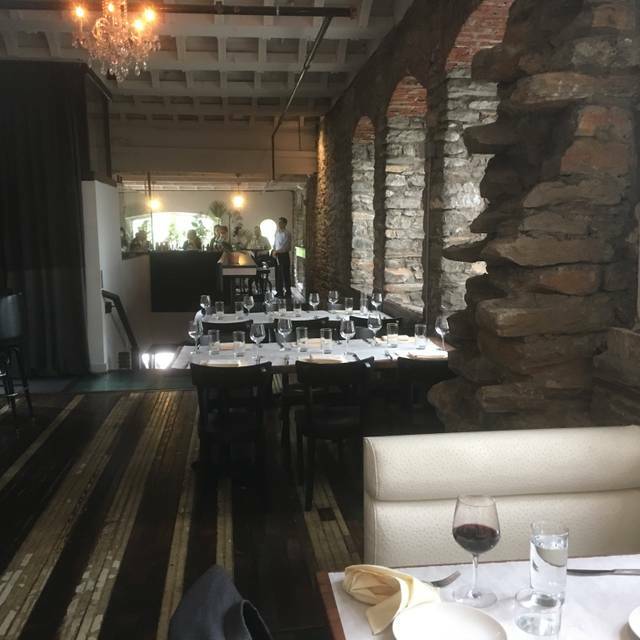 The general and owner came to the table and properly introduced themselves and owner personally came to our table to ensure our dining experience exceeded expectations. We will definitely be back and recommend this restaurant to our friends! Great food, great service, neat atmosphere! A fun place to dine before going to the show! 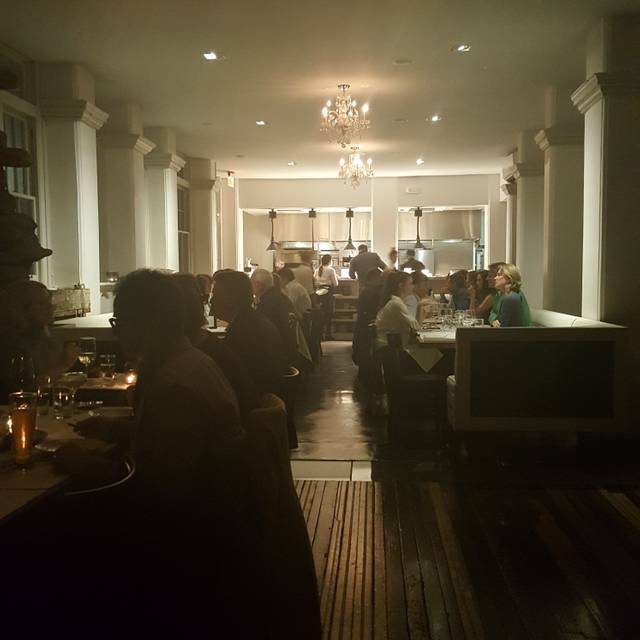 Rose + Rye is a wonderful date night spot in Atlanta directly across from the High. Mr. Sean was our server and he was very thorough with his steps in excellent customer service! Thank you Mr. Sean, Mr. Aurang, and team. Everything was wonderful!! Really enjoyed the pork chop. We had a party of 6 and everyone enjoyed their orders. Cocktails through dessert. We came for our anniversary. It’s a nice setting inside the castle. Is good. Service was good as well. No complaints. Superb, except for seating for two--a bit crowded. Waiter, attentive and responsive. Food was excellent. Extended parking fee for after ASO concert, a bit steep! Wonderful place to get a bite before symphony. Our server was wonderful! Everything was amazing. Can’t wait to return. I highly recommend this restaurant. Great place for date night of to celebrate a special occasion. This place was really good. Very interesting building, excellent food, great service. Nice bar seen. We sat indoors but I am eager to go back on a warm evening and sit outside. We had mussels, scallops and sea bass and all were very good. 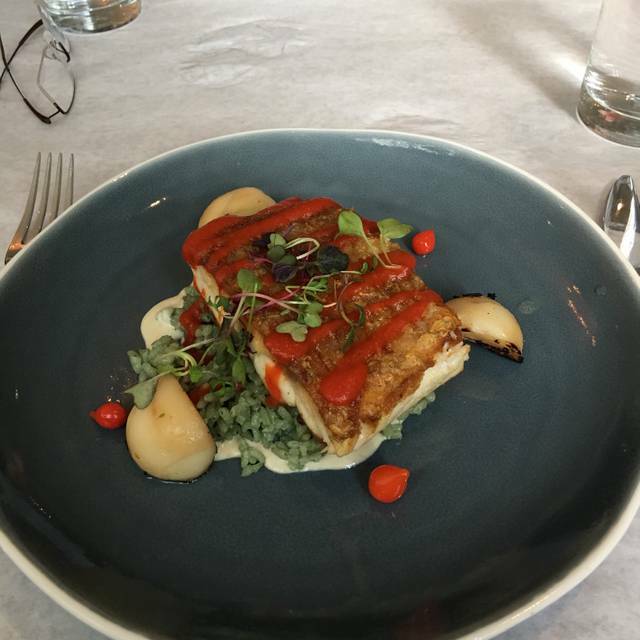 My husband and I had the best dining experience at Rose + Rye on Saturday night before attending the Atlanta Symphony. The food was delicious, I had the duck (really good) and my husband had the strip steak which was the best steak either if us have ever had at a restaurant - ever. We were seated on time, the wait staff was very attentive without over doing it, and the manager came by at the beginning to find out if we had any time constraints that he needed to look out for. Their Signature Drinks are well worth a try. The salad, sides, and dessert were also all excellent. I found their menu varied and would be comfortable taking anyone here for dinner. The noise level was perfect for enjoyable dinner conversation and our table had a nice level of privacy while still being in the center of the restaurant. This was our first time dining and I have already made reservations here for dinner before the rest of our subscription series symphony concerts. This was the most enjoyable dining experience we have had in a long time. Great place and an amazing location. Truly a secret gem! It’s a lovely restaurant. I ordered grouper and it tasted like frozen fish.... the tables are a bit close to each other so it feels you are dining with the couple sitting next to you... you can hear their conversations clearly. Music a bit loud and lousy selection! We were wondering what type of customer your music is catering to?? On the positive side, I love the place, it’s our second visit, pre-symphony. Nice service, nice drinks. The food was very good. Kind of loud but they can’t help it. A great place for dinner before an event at Woodruff Arts Center. Fabulous evening - great location, interesting building. The heat was out so it was a bit chilly - I'm sure it warmed up later but a bit chilly for us. This would not deter me from returning. 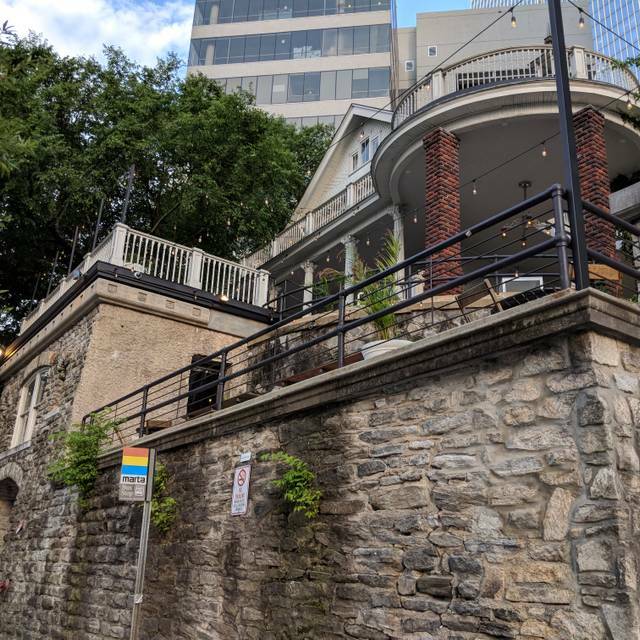 Great menu choices, food - everything from steak and sea food to veggies - duck confit was wonderful - Drinks, nice wine list and delicious drinks, Uncle Remus Fountain YUM!